Happy Wednesday MMT Fam! Okay, let me preface this screening giveaway with this – if you follow me, you already know not to expect to see me at this one, right? You can call me a scaredy-cat or whatever, but I’m not doing it! 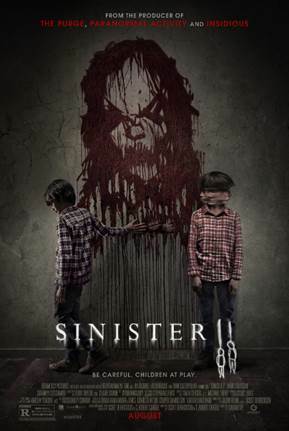 😉 In anticipation of the Gramercy Pictures’ release SINISTER 2, opening August 21st, special “SINISTER SATURDAYS” screenings will be presented at the PFS Roxy Theater – featuring a series of films that inspired SINISTER 2. This weekend’s midnight offering is THE RING. Admission is by ticket only, but MMT has acquired pairs of passes for 10 lucky winners to see it for free. To put your name in the hat, you must be a subscriber of this site and send an email to contests@musicmoviesthoughts.com, with your full name in the body and the subject line “Sinister Ring.” Ten winners will be selected at random and notified by Friday afternoon.